Industrial chic meets Andy Warhol’s kicky color palettes in this iron Dark Blue Hank Welded Stool. 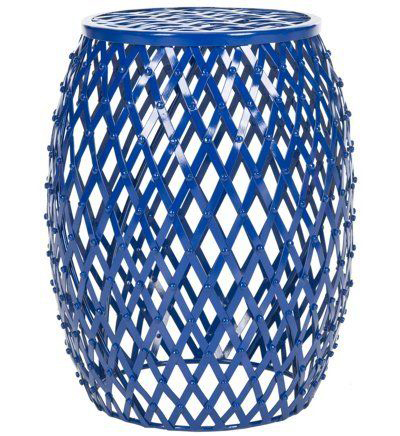 It is crafted using thick iron strips welded together in a shape that mimics traditional Chinese garden stools. It is perfect as an accent piece and will proudly stand alone in any room. $119 Sale $105. Buy here.